A spinal injury has grounded Ultimate Fighting Championship flyweight Justin Scoggins. 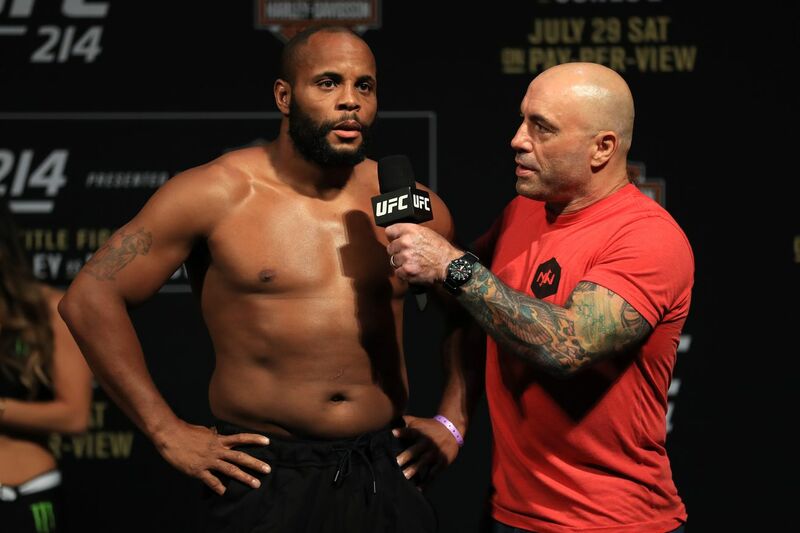 Ultimate Fighting Championship (UFC) light heavyweight champion, Daniel Cormier, has apparently circumnavigated the promotion’s official matchmaking process, holding his own social media poll to procure his next opponent. It seems “DC” has given the 205-pound slugger a chance to leapfrog fellow top contender Alexander Gustafsson, probably since “The Mauler” already lost to Cormier, albeit by split decision, at UFC 192 back in late 2015. Cormier (19-1, 1 NC) had the 205-pound title returned to him — despite getting crushed at UFC 214 — after longtime rival Jon Jones failed his UFC 214 drug test. While he was calling out heavyweights and even middleweights, the champ is likely to face Oezdemir (15-1), who rocketed to the top of the light heavyweight charts by winning five straight. The promotion has yet to make this bout official, but that could simply be a formality. RIO DE JANEIRO — Mauricio Rua is riding a three-fight winning streak for the first time in a decade, and hopes for a chance to go back to the place where he became a star. The last time “Shogun” had a long winning streak he was fighting for PRIDE, and a pair of those victories took place at the Saitama Super Arena in Japan. With the UFC scheduled to return to the Japanese venue on Sept. 23, “Shogun” wants to be part of the show. Rua hasn’t competed in Japan since December 2006, when he defeated Kazuhiro Nakamura. Winner of nine of 10 fights in Japan, with his only loss being an injury against Mark Coleman earlier that year, the former PRIDE and UFC champion can’t wait to be back to Japan. Looking for his fourth straight victory, and currently ranked at No. 4 in the official UFC light heavyweight rankings, the Brazilian, who defeated Antonio Rogerio Nogueira, Corey Anderson and Gian Villante in his last three UFC bouts, won’t think about title shots just yet. “I don’t think about anything post-fight,” Rua said. “The belt, title shot, I don’t think about it. There are some fighters ahead of me, even if I win. I know that I have to fight, that it’s going to be a tough fight because there’s no easy fight in the UFC, especially at the top. I’ll be ready for whoever.